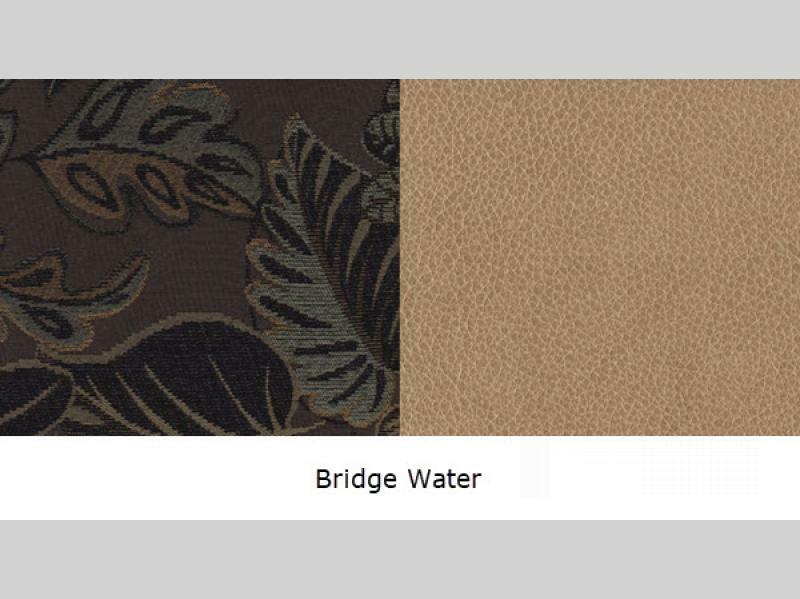 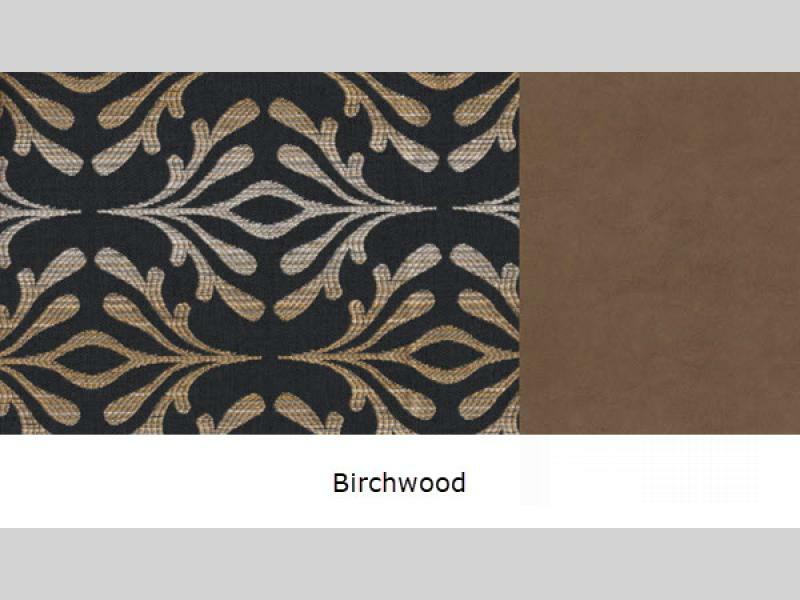 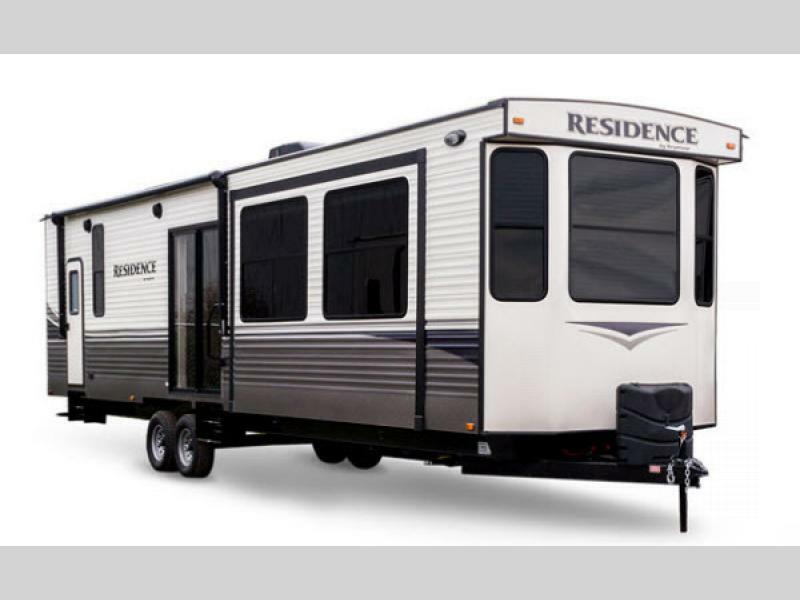 Why not take up residence near the water, the quiet countryside, or just about anywhere you desire? 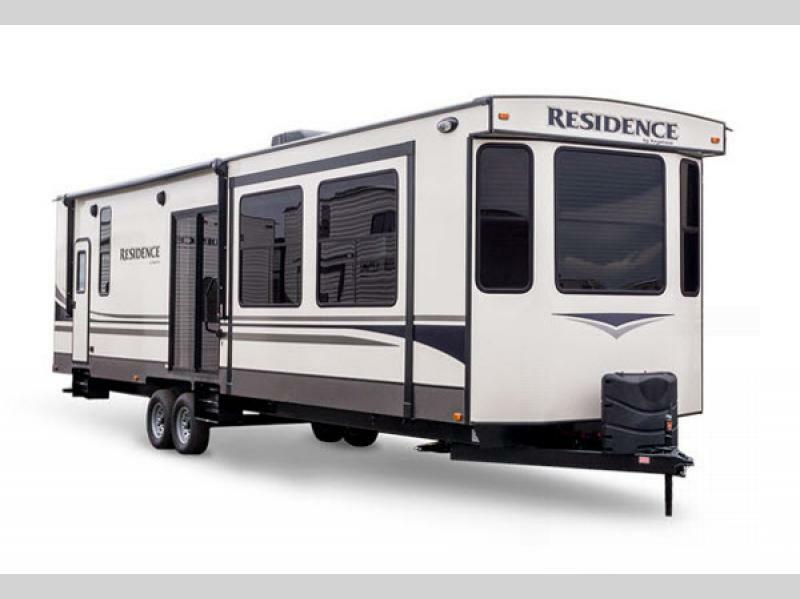 Keystone RV can help make that possible with a Residence destination trailer! 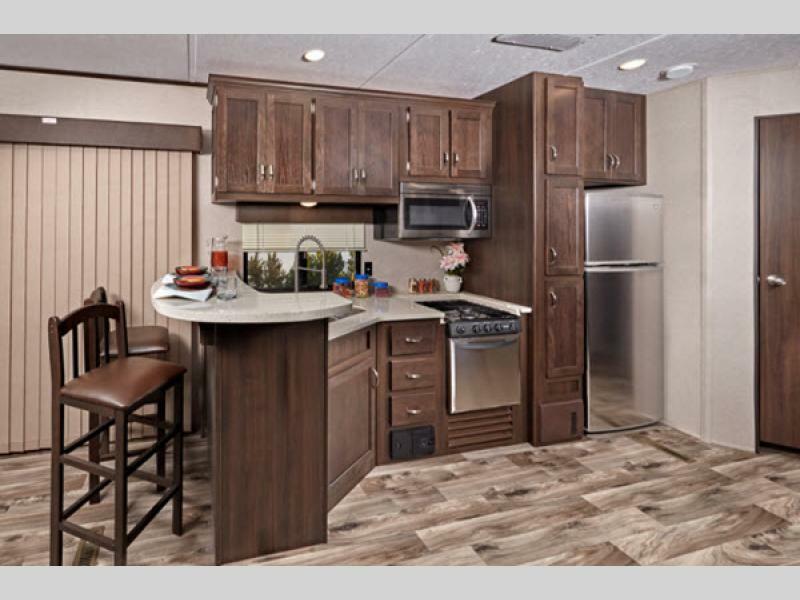 Imagine taking a vacation that requires less preparation, packing, and planning because of all of the helpful amenities that will make your trip more enjoyable and accommodating, like the 18 cubic foot residential refrigerator, king-size pillow top mattress, and 16 gallon gas/electric DSI water heater. 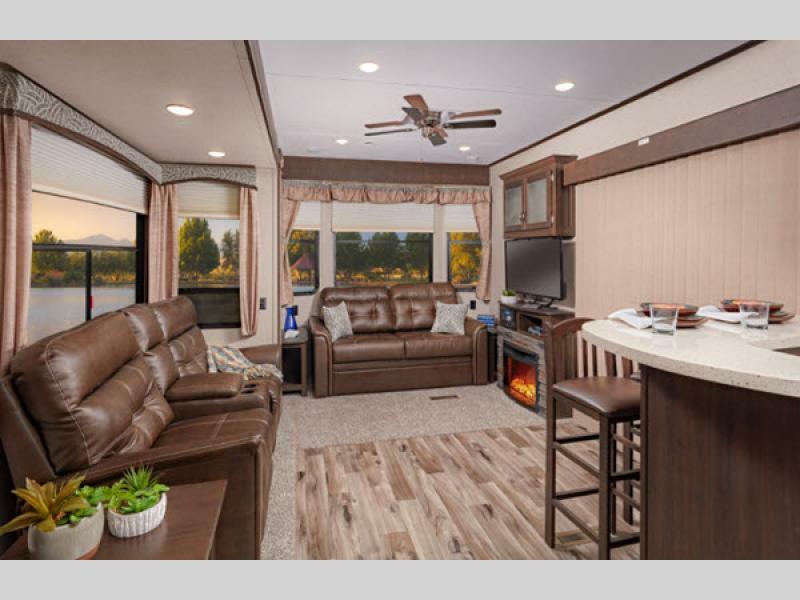 You will also feel comfortable knowing that the construction is built on a 12" powder-coated l-beam frame with a 102" wide body for more interior living space. 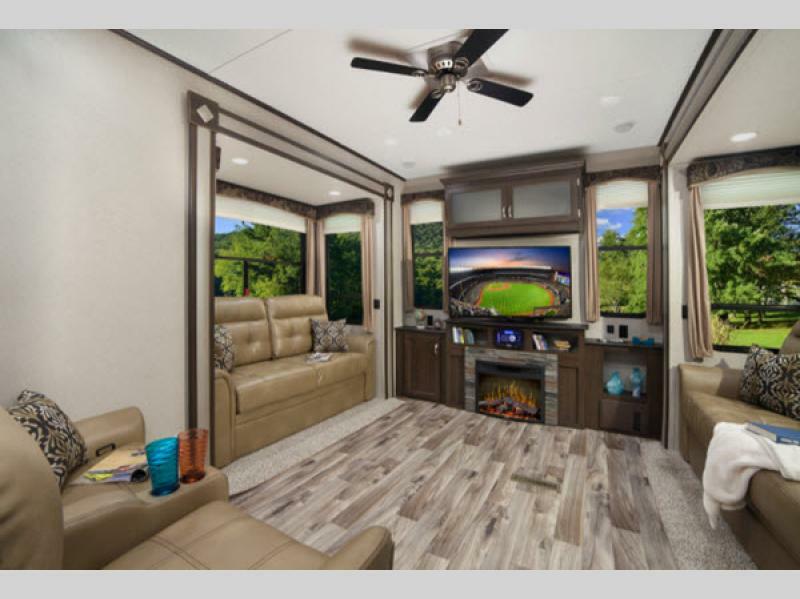 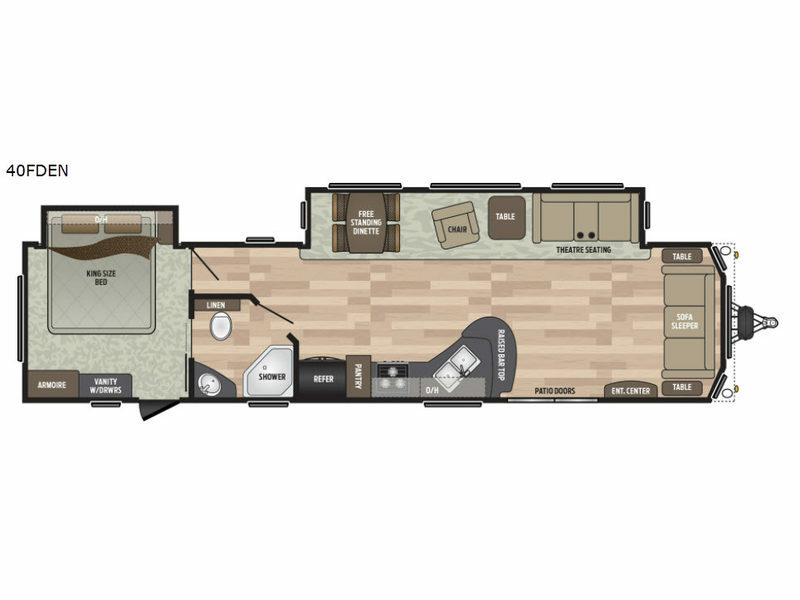 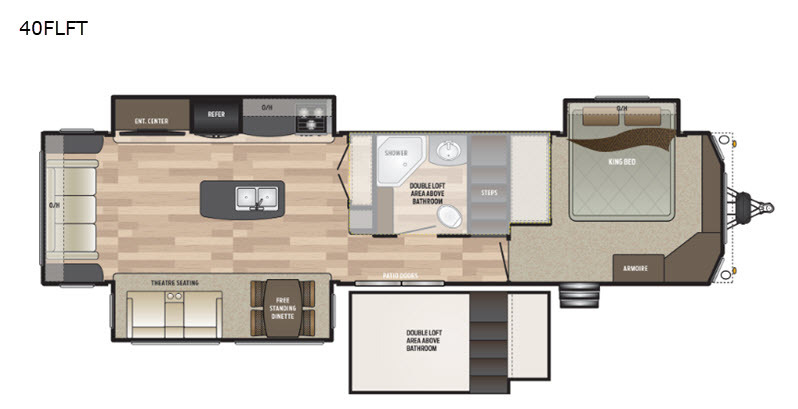 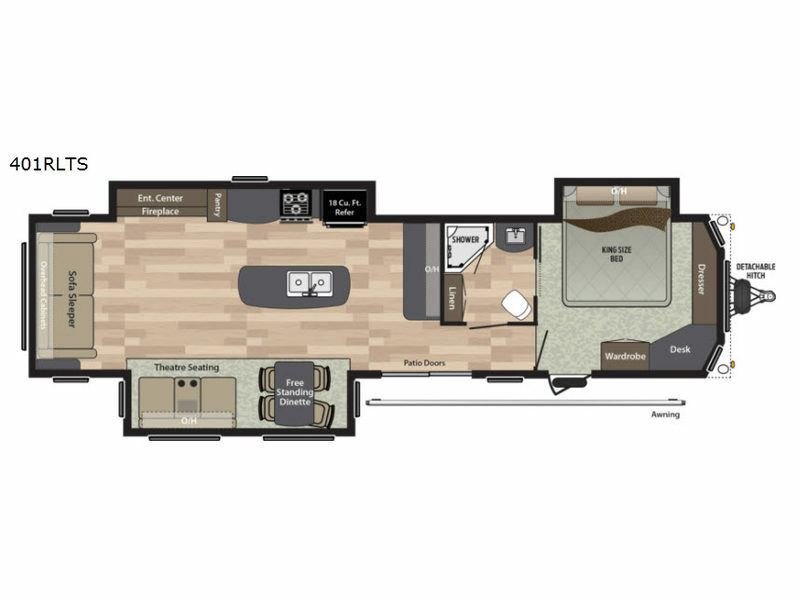 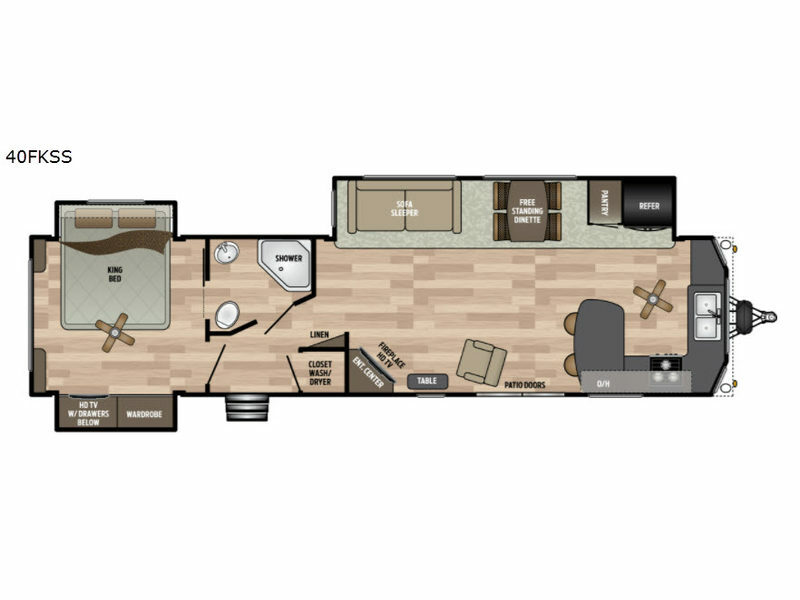 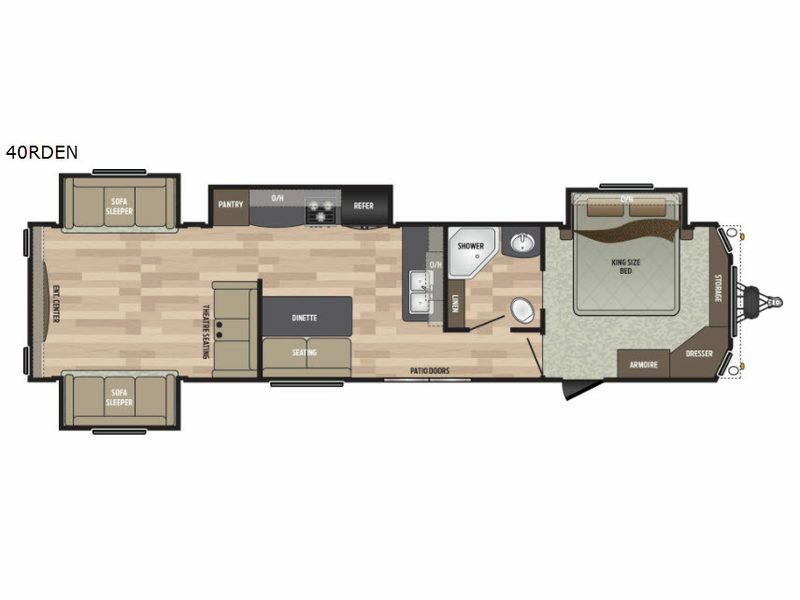 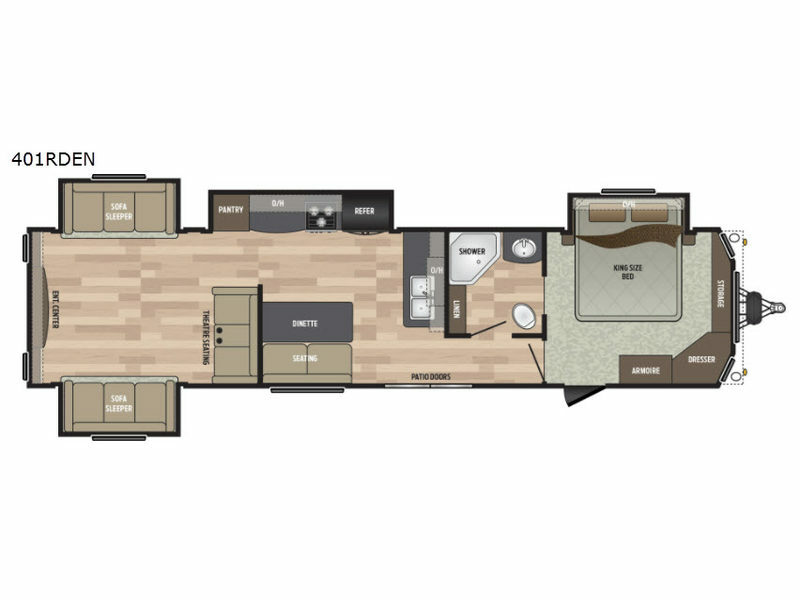 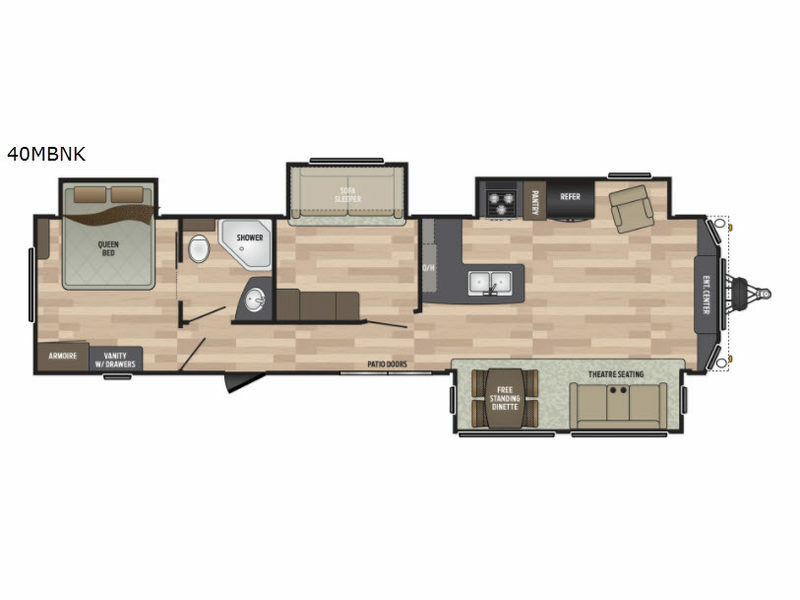 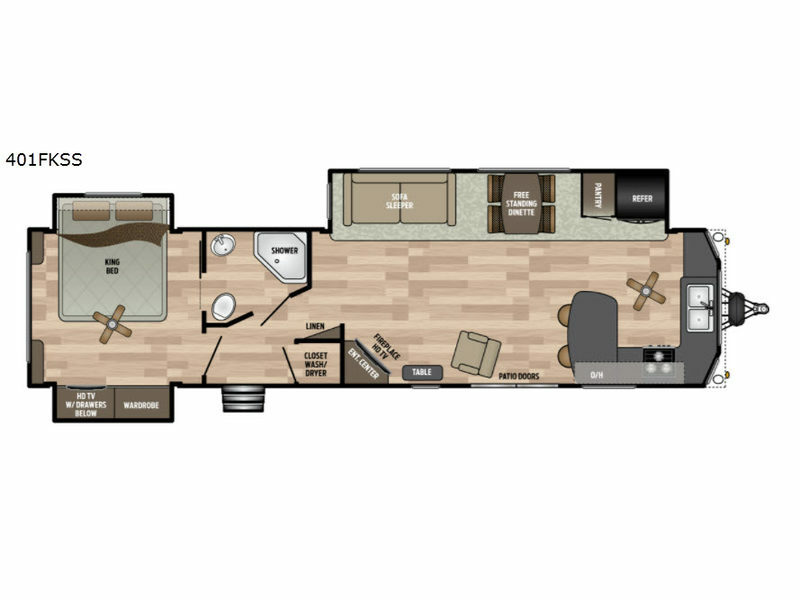 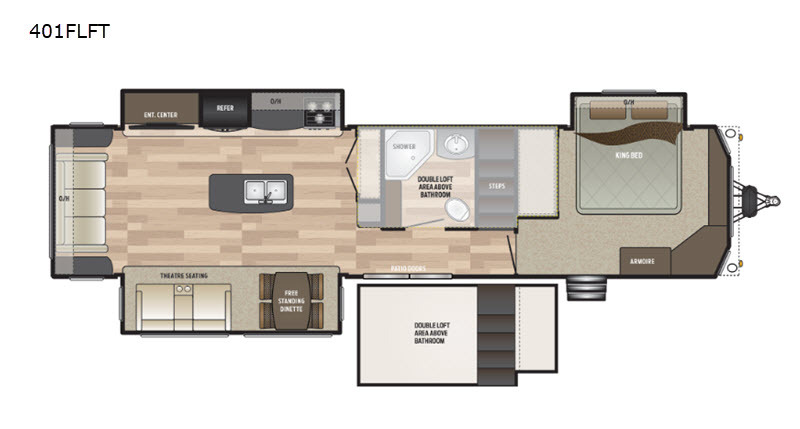 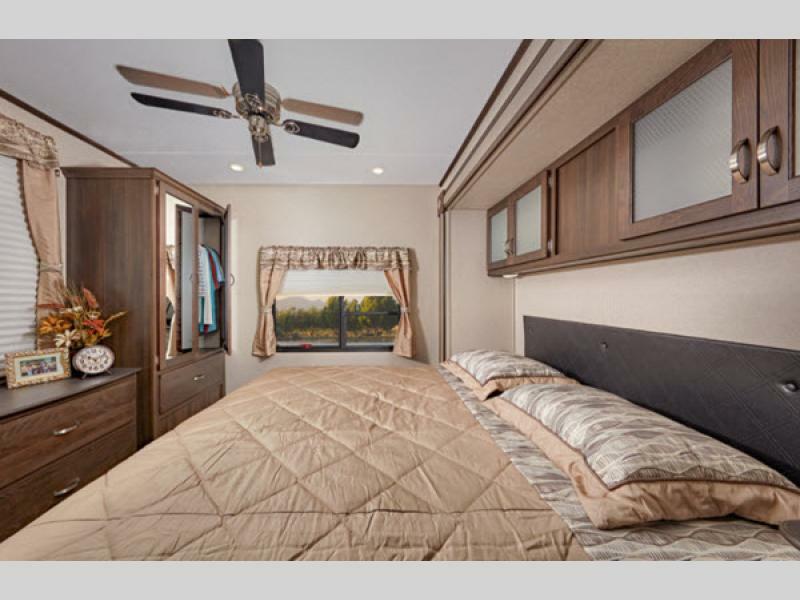 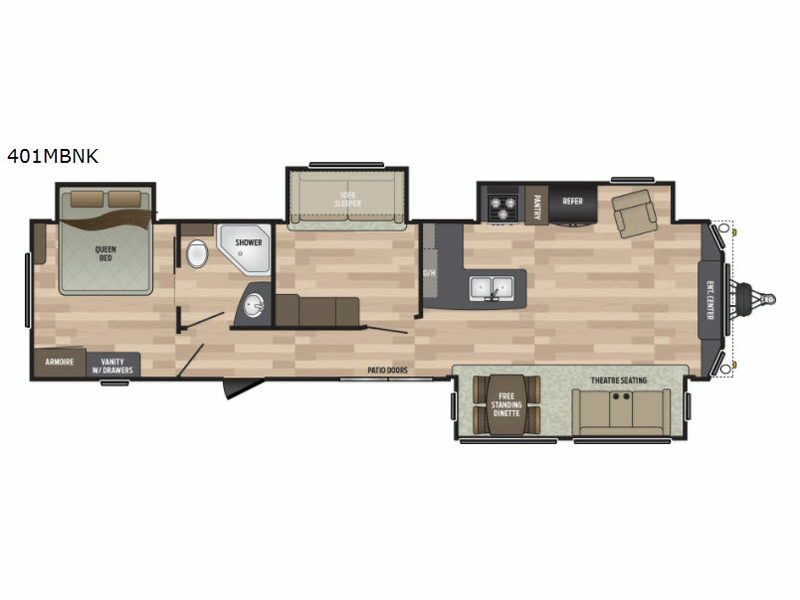 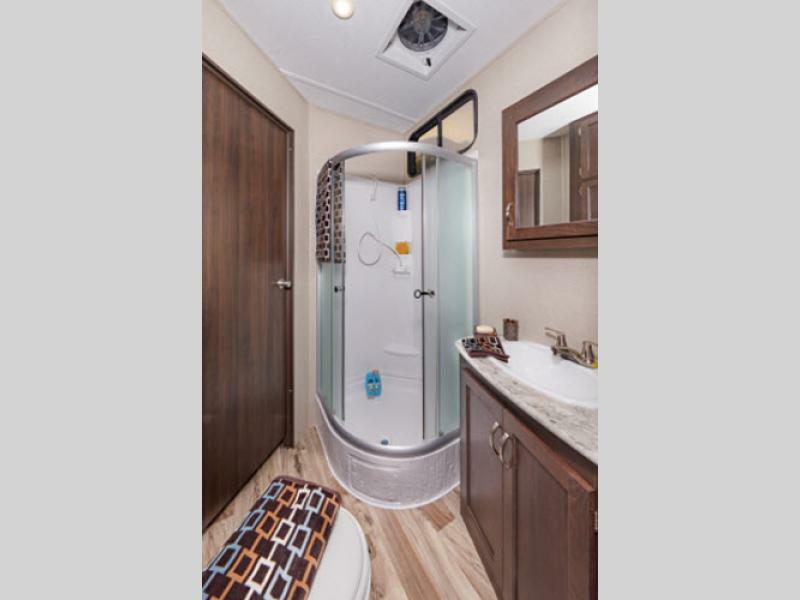 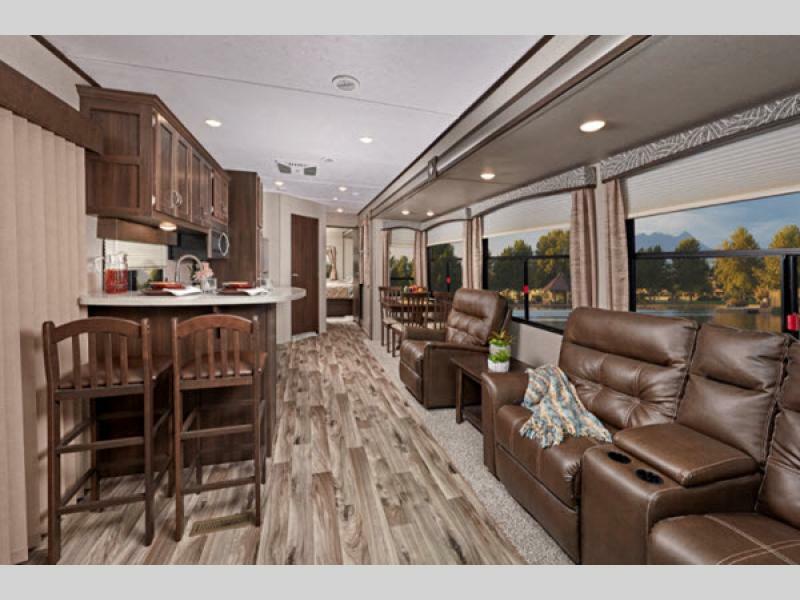 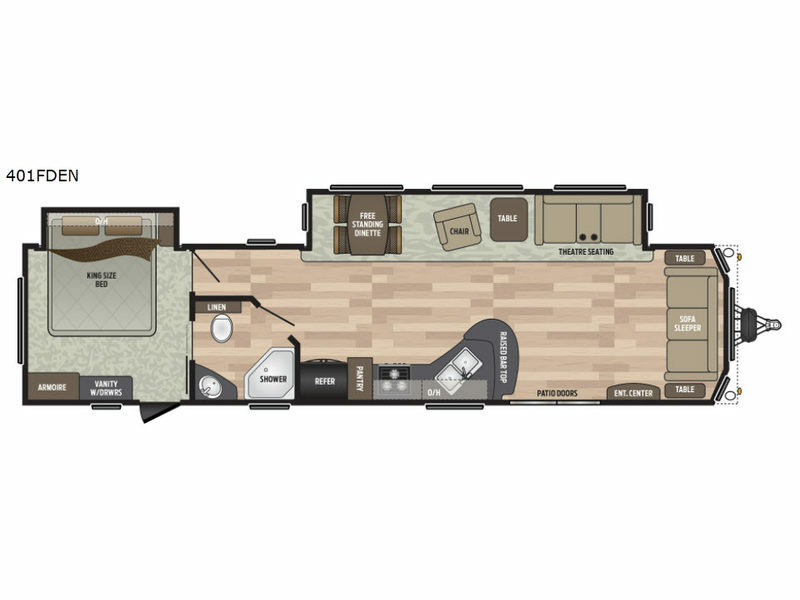 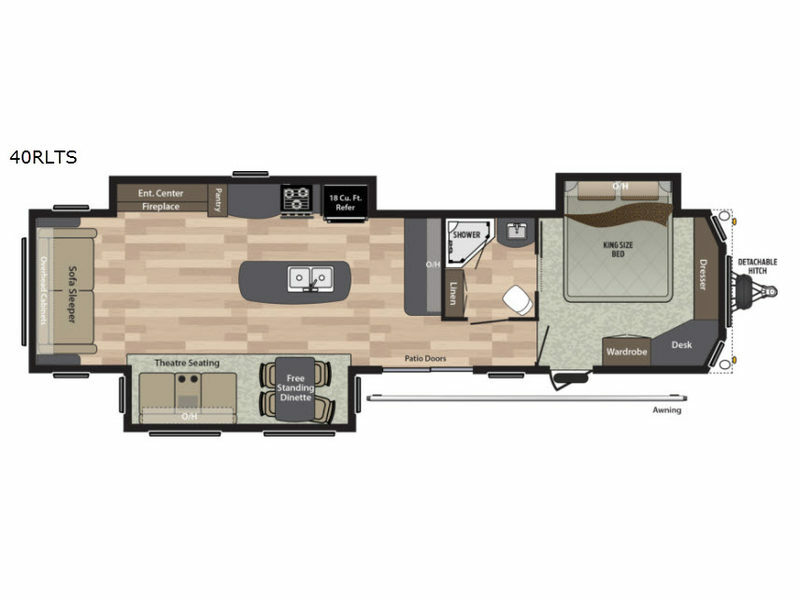 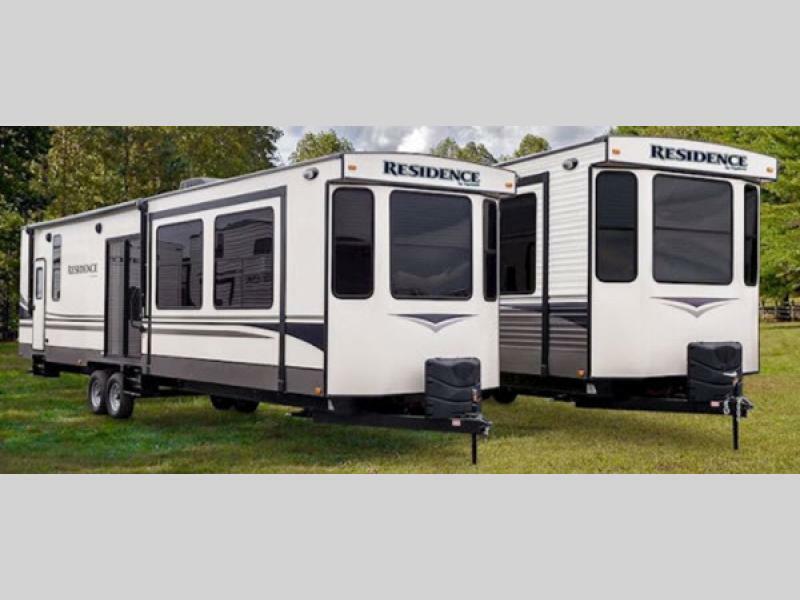 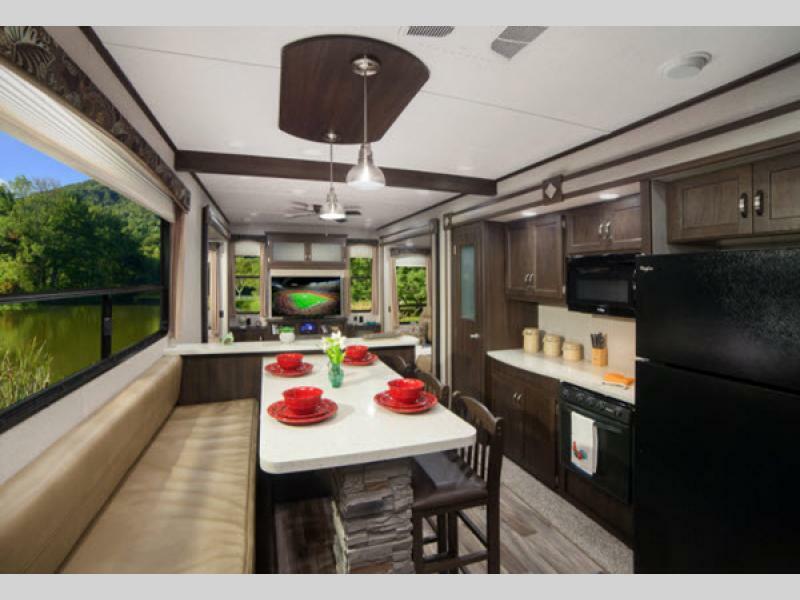 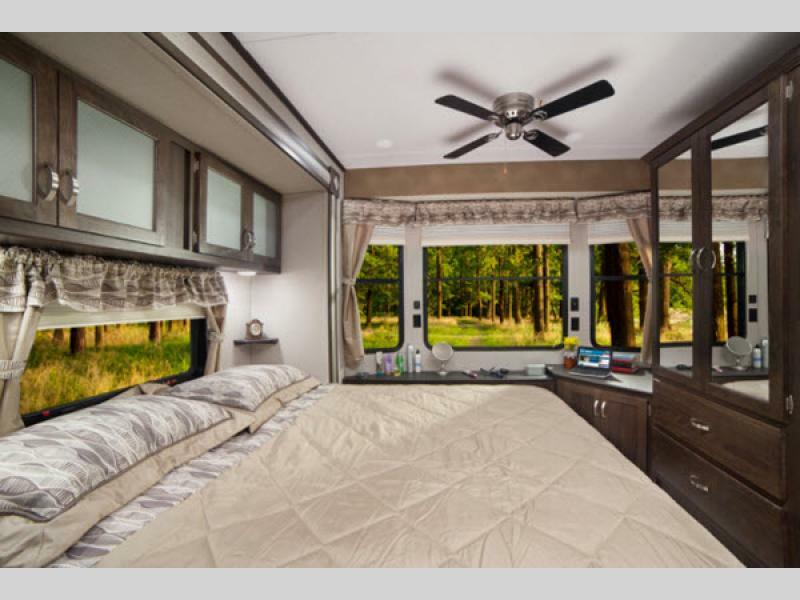 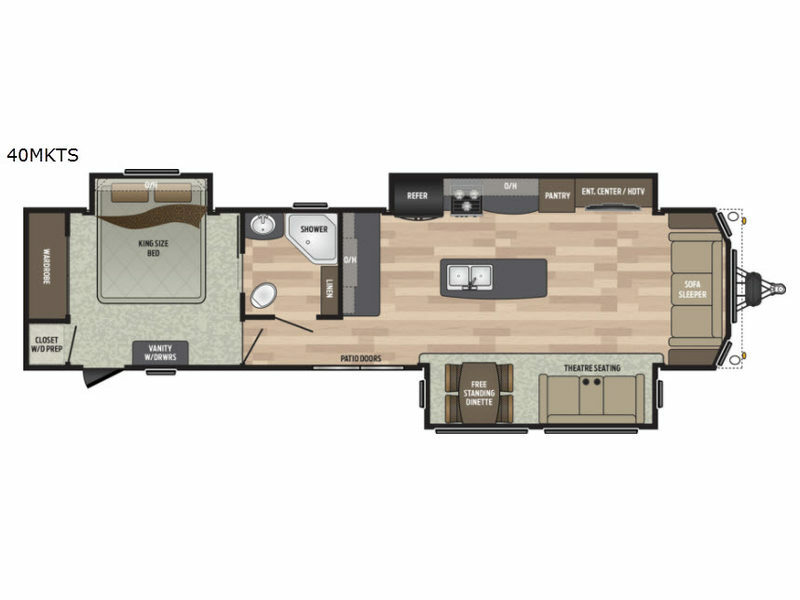 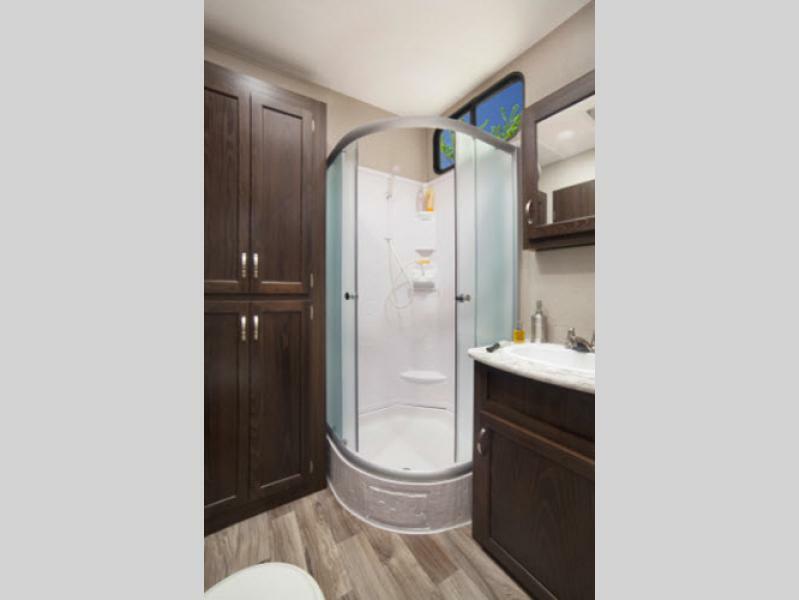 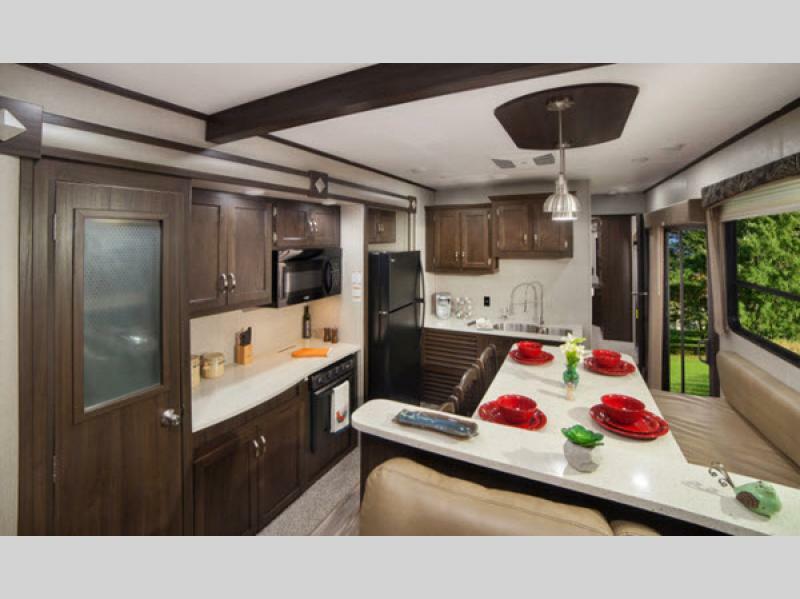 Take up residence anywhere that you've always desired to call home with one of these Keystone Residence destination trailers!